With this edition we introduce a new look to ACM TechNews, offering readers the same timely industry news in a responsive format designed to make it easier to read on any device by automatically adjusting to whatever way you interact with the newsletter. Welcome to the February 6, 2017 edition of ACM TechNews, providing timely information for IT professionals three times a week. 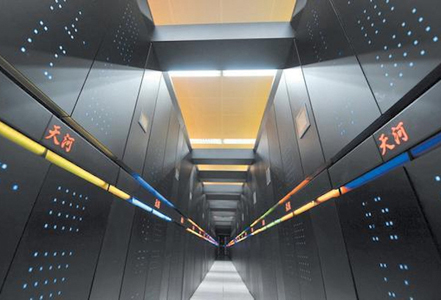 China's Tianhe supercomputer at the National Supercomputer Center in Tianjin has been running at full capacity, and its processing power far exceeds that of its U.S. and European counterparts, according to the official Xinhua News Agency. In its first stage, Tianhe achieved a peak speed of 563.1 teraflops, making it the fifth-fastest supercomputing system in the world at the time. The National Supercomputer Center says the upgraded Tianhe-1A, completed six years ago with a theoretical peak speed of 4,700 teraflops, has achieved a first-ever test result of 2,566 teraflops. The Tianhe-1 is currently performing tasks for China's oil exploration, high-end equipment manufacturing, bio-pharmaceutical, aerospace, new energy, and new materials projects. The National Supercomputer Center last year announced plans to create a supercomputer that will top Tianhe-1's processing powers by a maximum factor of 200 before 2020. ACM has announced it will celebrate 50 years of the ACM A.M. Turing Award, also known as the "Nobel Prize of Computing," with a high-profile conference to be held June 23-24 in San Francisco. The two-day event, called the Celebration of 50 Years of the ACM Turing Award, will explore how computing has changed and what the future holds for the field. The event will include 20 Turing laureates, including Vint Cerf (2004), Judea Pearl (2012), and Chuck Thacker (2010). Conference attendees can attend panels on subjects such as deep neural networks, quantum computing, augmented reality, and ethics. Last year's Turing Award went to Whitfield Diffie and Martin Hellman. The award includes a $1-million prize with financial support provided by Google. Technology professionals, academics, and other volunteers are working to archive public databases hosted by U.S. government agencies because they are worried access to the data could be cut off by the Trump administration. The volunteers want to ensure that climate, environmental, and other data remain in the public domain, according to organizers of the "archive-a-thons" taking place across the U.S. and Canada. Although the administration has not made any public claims about cutting off access to data, President Donald Trump has made past statements about reducing funding to the U.S. Environmental Protection Agency, and the administration's attempts to reduce public communications at some federal agencies have raised concern among scientists about long-term access to data. Archiving events have been held in New York City, Portland, OR, and Ann Arbor, MI, with others planned this month for the Bay Area in California, and Boston. Ontario, Canada, is investing $75 million in scientific research as part of the Advanced Research Computing and Big Data Strategy, which aims to boost scientific discovery and innovation for researchers using advanced computing. The investment will help researchers involved with the process of gathering, processing, and disseminating data and translating it into usable information. 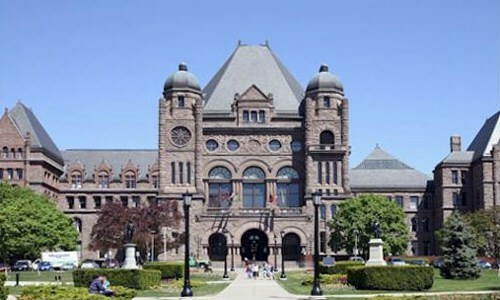 The Strategy will be coordinated by the nonprofit Compute Ontario organization. The initial focus will be to upgrade infrastructure at Ontario's advanced research computing sites and develop new talent. Ontario's government wants to install two new hardware platforms at the University of Toronto and the University of Waterloo. In addition, the investment will provide Ontario's advanced research computing centers with the funding they need for efficient multi-year planning, and the projects will bring together groups of researchers to develop data resources capable of data analytics and large scale computational modeling. An international research team is investigating the commercial viability of using vehicle platooning in public transport to allow for more flexible transfers and greater roaming capacity than traditional public transport. An autonomous platoon would be comprised of smaller pods that could be split up, bringing passengers closer to their travel destinations than conventional buses or trains that have a set schedule. The researchers say the method's flexibility would make public transportation more attractive, eventually resulting in less traffic congestion and emissions in cities. The idea stems partly from previous models for self-driving shared taxis, which would use an algorithm to allocate vehicles in real time to meet demand. A paper on their research was among the winners of the Blue Sky Ideas Track Competition at the ACM SIGSPATIAL International Conference on advances in Geographic Information Systems (ACM SIGSPATIAL 2016) last fall. Researchers at Harvard Medical School and the Technion-Israel Institute of Technology have developed a generalized framework for the "first passage under restart" model, which defines a broad spectrum of statistical phenomena in physics, chemistry, biology, finance, and other disciplines. By identifying an optimal strategy and demonstrating it cannot be outperformed by any other approach, Harvard's Shlomi Reuveni and Technion's Arnab Pal have moved toward improving the performance of many diverse processes with a wide range of applications, including efficient computer coding and biochemical reactions in cells. Pal and Reuvani used their new framework to identify an optimal strategy, called sharp restart, which beats all possible restart strategies by realizing the shortest average first passage time. The researchers say sharp restart essentially entails halting the process and restarting it after some fixed amount of time, with the precise interval depending on the problem. Researchers at the University of Manitoba in Canada are developing software to curb the spread of child sexual abuse materials (CSAM) online without ever actually seeing it. The researchers say the new method relies on advancements in computer vision to go beyond conventional software that searches the Internet for previously reported CSAM and scans images as they are uploaded. The new software aims to stop the images from ever being posted, and to help law enforcement to quickly identify and prioritize new cases. Project Arachnid, a digital Web crawler launched by the Canadian Center for Child Protection last year, detected more than 5 million instances of CSAM in just six weeks. As the images are illegal to view, the students will build increasingly sophisticated dataset models for the Royal Canadian Mounted Police to continually test for accuracy against its database. 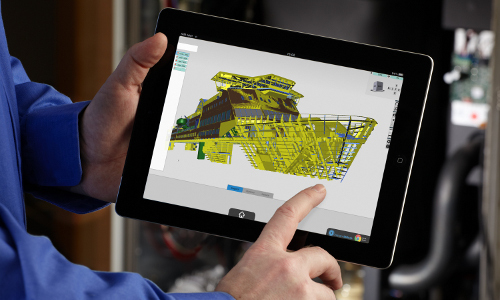 A new Web-based software platform supports three-dimensional (3D) data visualization on any connected device, optimizing the use of virtual reality (VR) in industry. Researchers at the Fraunhofer Institute for Computer Graphics Research IGD in Germany developed the instant3DHub to help engineers, technicians, and architects inspect 3D maps and spatial design plans in real time. The software is Web-based, so each company can adapt the visualization tool to its needs. The software automatically selects the data that should be prepared for visualization by calculating and transmitting to the user's device only visible components. Instant3DHub's ability to process data in real time makes it useful for VR and augmented reality applications. A VR app has to load up to 120 images a second onto the smart goggles, but instant3DHub enables the data to be quickly streamed, transmitting several thousand points of 3D data from a central database within one second. Researchers at Oak Ridge National Laboratory (ORNL) have set a new record in the transfer of information via superdense coding, a process that involves using photons, protons, and electrons to store as much information as possible. The ORNL researchers transferred 1.67 bits per quantum bit (qubit) over a fiber-optic cable, slightly beating the previous record of 1.63 per qubit. The ORNL team was the first to use superdense coding over optical fiber, a major breakthrough in the quest to adapt quantum communication techniques to modern networking technology. In addition, since the team used conventional laboratory equipment, it has brought the technique one step closer to practical use. In a demonstration of the technique's effectiveness, the researchers transmitted the ORNL logo between two end points in the laboratory. The technology could lead to more efficient methods for transmitting and receiving data on the Internet and in cybersecurity applications. Researchers at Cornell University have found artificial intelligence (AI) can help scientists predict what combinations of existing drugs could combat different types of cancer. In two studies, the researchers found AI techniques were able to suggest effective anti-cancer drug combinations, and the most effective combinations were later confirmed experimentally. In the first study, the researchers used AI techniques to build models that predict synergistic drug combinations. They trained the models to recognize the tested combinations and applied them to assess a larger set of combinations to determine which ones might be effective. The researchers used an algorithm-based approach to predict what drugs might work well together. In the second study, the researchers used AI to build a detailed model of the B cell receptor antigen pathway, and found how different genes on the pathway work together to encourage cancer growth. Researchers at the University of Granada (UGR) in Spain have developed 3DCurator, software that adapts conventional medical technology, enabling it to analyze the interior of sculptures. 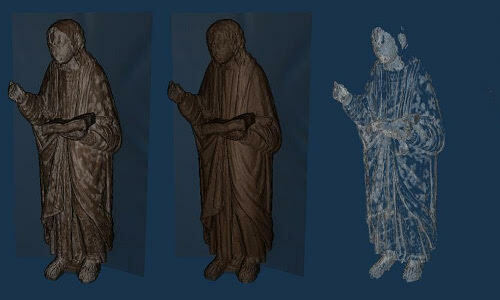 The researchers say the software can be used to see the inside of a wood carving without damaging it. They note it was designed for the restoration and conservation of sculptural artifacts. The software has a specialized viewfinder that uses computed tomography to display the three-dimensional image of the carving. The system enables researchers to examine the interior of a statue without the problem of overlapping information presented by x-rays, and they also can understand the statue's internal structure, the age of the wood with which it was made, or possible additions. "The software which carries out this task has been simplified in order to allow any restorer to easily use it," says UGR professor Francisco Javier Melero. Researchers at the University of Washington (UW), led by Rajesh Rao, director of the Center for Sensorimotor Neural Engineering, are experimenting with technology to eventually enable mind-controlled virtual reality applications via direct brain stimulation. Rao's team noninvasively sends signals to a subject's brain using Transcranial Magnetic Stimulation (TMS) so the subject can navigate 21 distinct mazes without any visual, auditory, or other sensory input. "We're essentially trying to give humans a sixth sense, so to speak," says UW's Darby Losey. The subject perceives a short flash of light called a phosphene, and then is asked to navigate the maze in a specific direction if they see the phosphene. Using this method, five test subjects made the right moves 92 percent of the time, versus 15 percent of the time without TMS. Rao believes this research could perhaps lead to assistive technologies for sensory-deprived individuals.